ParkingCrew has made a key addition to their management team. Industry veteran Sam Tseng has come on board as Director Business Development, Publisher Products. Tseng has previously served as Director of Sales at DomainSponsor/RookMedia and Account Executive at Uniregistry. He will add another 10+ years of deep industry knowledge to the Parking Crew sales force. ParkingCrew CEO Nico Zeifang said, “We have known Sam since the early days at DomainSponsor and kept in touch with him while building out our ParkingCrew platform. Having a long running relationship, we are thrilled to have him on board." 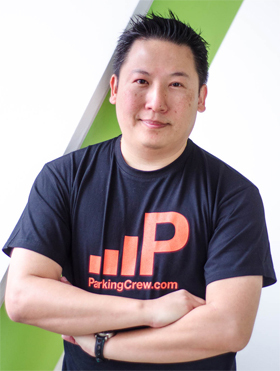 Tseng will be stationed in Los Angeles, catering to the needs of ParkingCrew and publisher TONIC. customers in the United States, Canada and Chinese speaking countries. 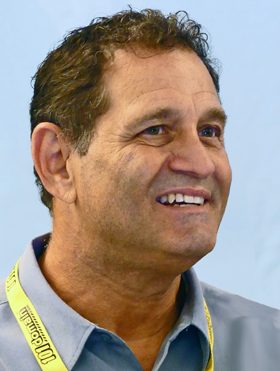 In another major personnel move that came to light in a DomainGang story over the weekend, industry veteran Sevan Derderian has joined Trellian (who operates domain monetization service Above.com) as Brokerage Director. Derderian moves into that role after almost three and half years at Uniregistry, most recently as Director of Sales. Derderian first entered the domain industry in 2004 with Oversee.net and also held sales and management positions at Thought Convergence and NavBid before joining Uniregistry in 2013. I haven't seen a formal press release on Sevan's move to Trellian but his LinkedIn page confirms the new role effective this month. Derderian will work from Southern California where Australia based Trellian/Above has a Los Angeles office. 2017 in Mumbai, India. The news came in a 2017 NamesCon conference wrap-up posted on the conference website but no other details on the series or India event have been released yet. The post said dates and locations for other one-day events will be coming soon. more flexibility and faster to market times for all domains on the world’s largest marketplace. Since we first added the $10,000 limit it has been more common for sales to reach the five figure range and beyond." Copyright 2017 DNJournal.com - an Internet Edge, Inc. company.